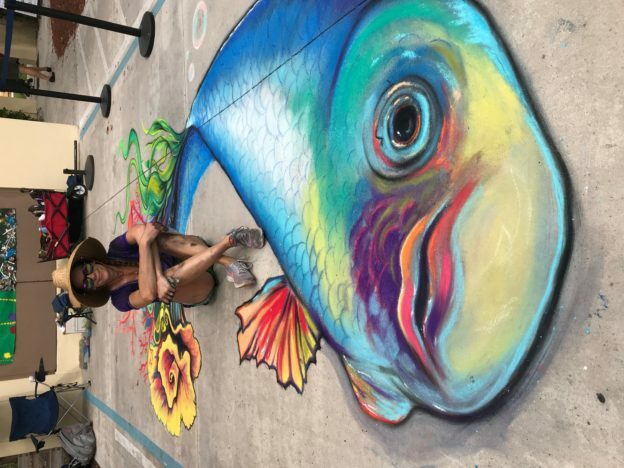 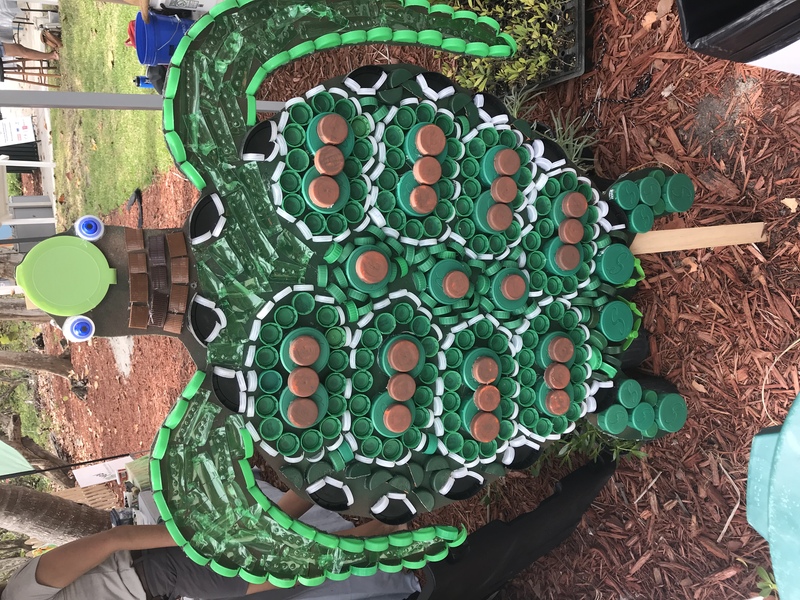 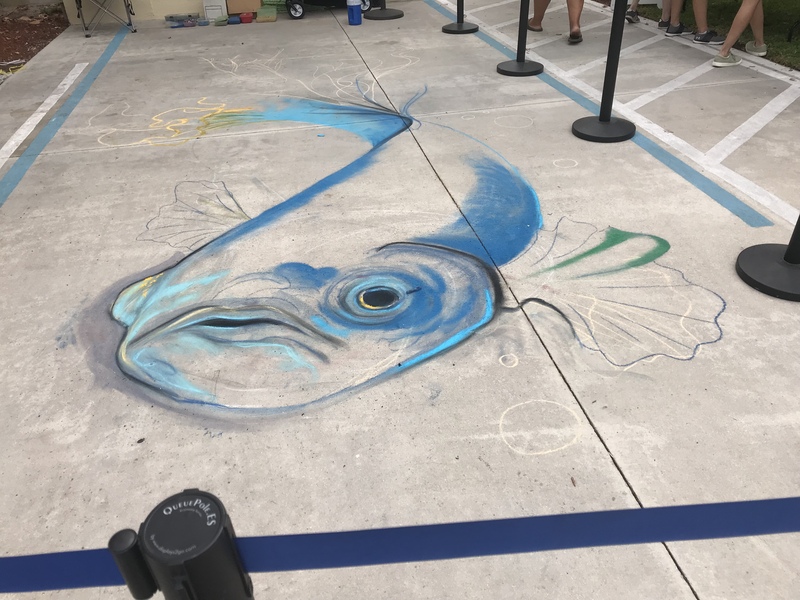 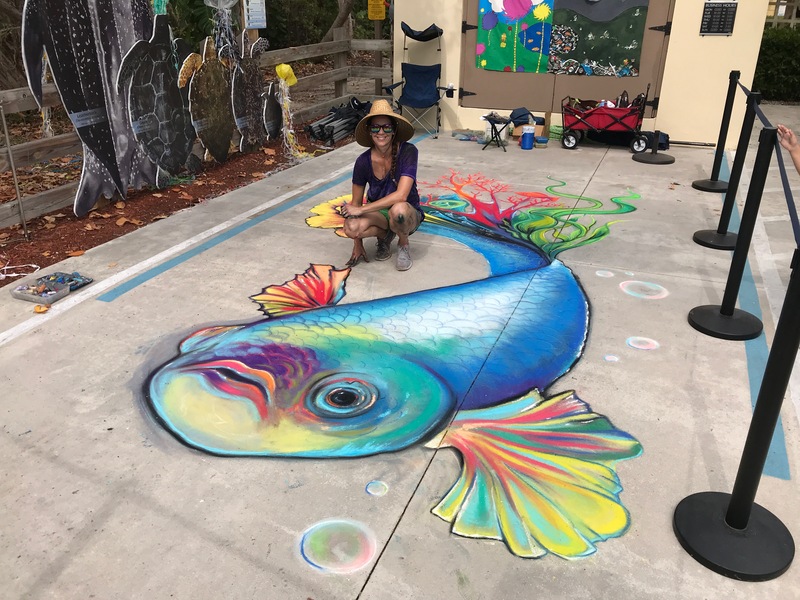 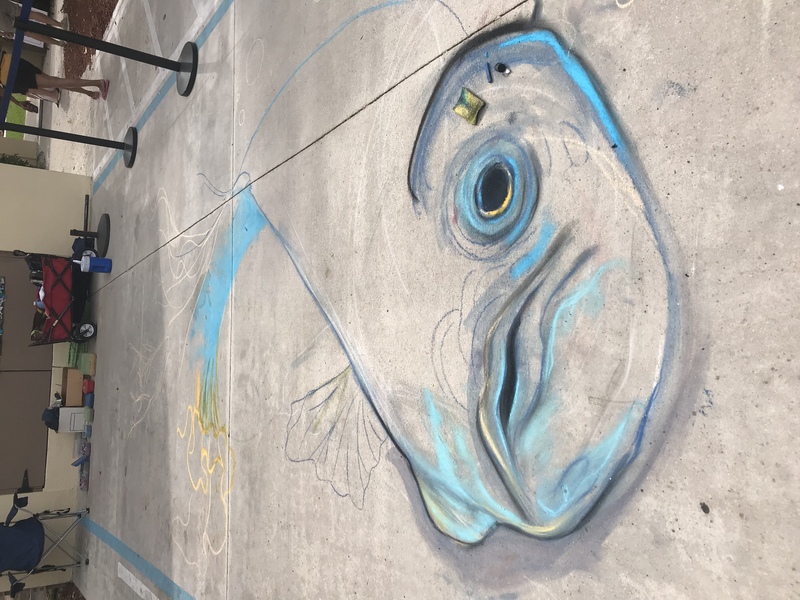 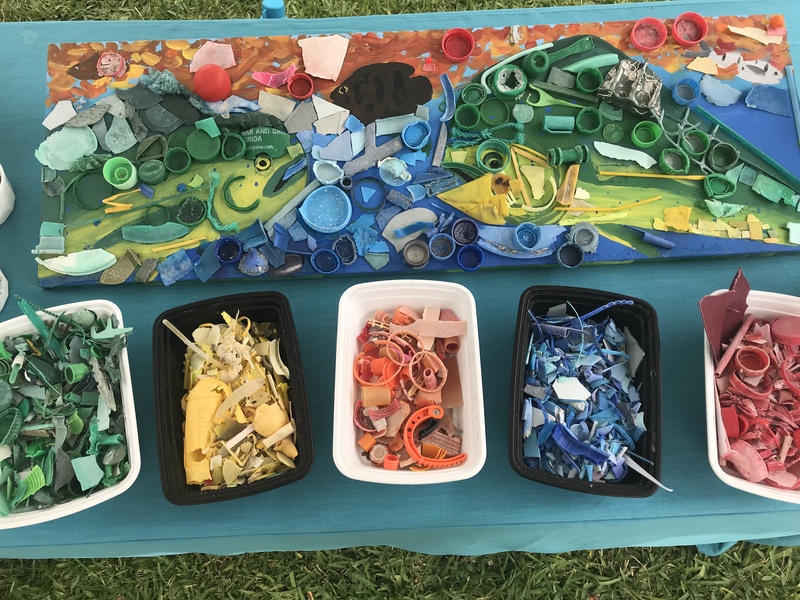 The City of Hollywood hosted a beautiful environmental art festival at the Marine Environmental Education Center right on the beach last Saturday, April 21st. 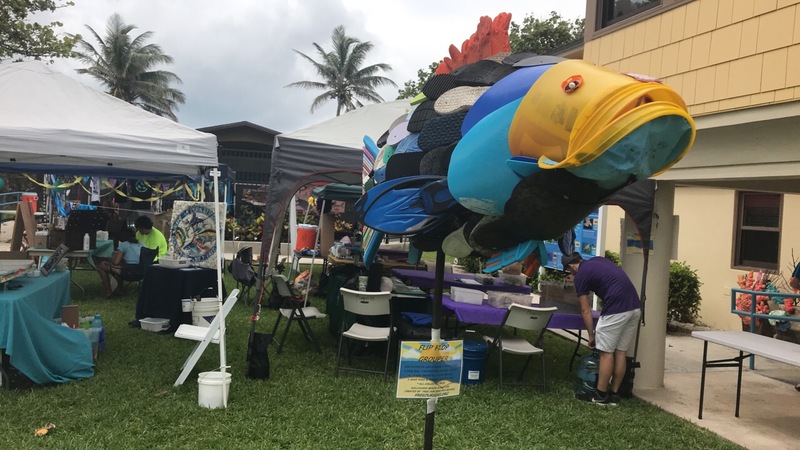 Showcasing local artists, vendors and trash to art projects, the community came out and showed their support by cleaning the beach, planting new sea oats, and raising awareness. 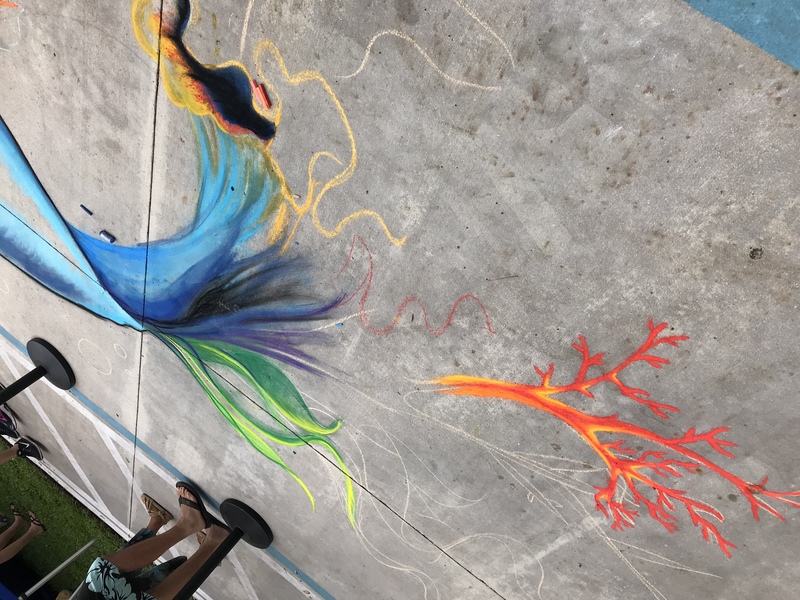 Here is the chalk mural I created from 12-5pm next to other installation artists and sculptors. 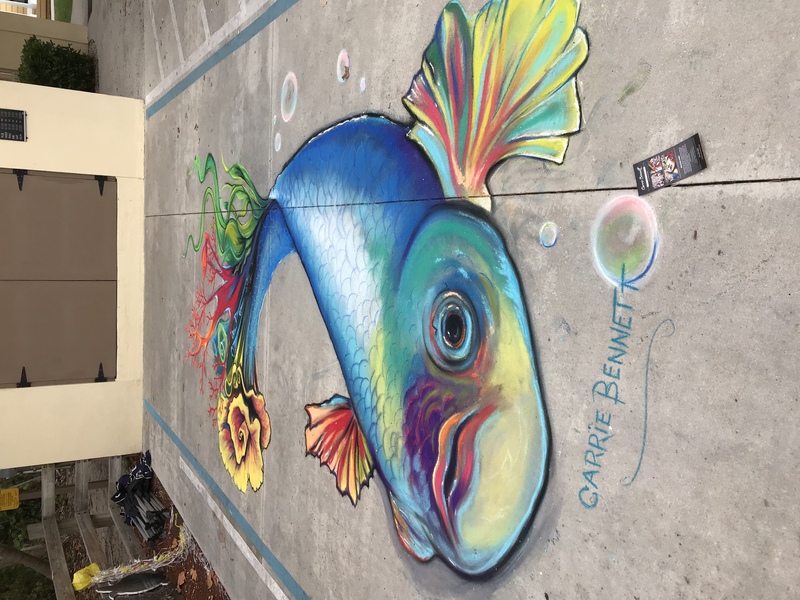 This entry was posted in News and tagged art festival, Carpenter House, Carrie Bennett, Chalk art, chalk artist, environmental art festival, fish art, Fish mural, Free Our Seas, free Our Seas and beyond, Hollywood, Hollywood Beach, Marine center, plastic art, recycled art, sea turtle, street painting, surfrider foundation on April 24, 2018 by Carrie Bennett.